An Insightful Journey into How Emotions Affect our Bodies. Whether it occurs because of an injury, a systemic disease or a chronic illness, we all experience pain at some time or another. Whilst some types of pain appear to have a distinct physical cause, pain can sometimes seem to appear out of nowhere. Often, niggling discomfort can occur for months or years without a true cause being identified. Similarly, injuries which you expected to heal quickly may persist for some time. Despite using traditional medicines and undergoing various forms of physical treatment, patients can become frustrated when pain becomes an on-going issue. Unable to identify the cause of their suffering and unable to find a suitable remedy, people can experience debilitating symptoms for a considerable time period. A common cause of these complaints, however, is psychological in nature. Whilst the individual may report physical symptoms, the cause of the malady is often emotional. Often unbeknownst to the patient, trapped or suppressed emotions can have a significant effect on their physical health, as well as their mental equilibrium. As highlighted by Emotional Clearing Facilitator John Ruskin, “…the connection between supressed feelings and poor health…” is becoming more widely known and accepted by both health professionals and patients. Sometimes referred to as psychosomatic, conditions or illnesses caused by psychological, mental or emotional issues are extremely common. As the physical pain is merely a manifestation of an emotional problem, treatments aimed at resolving the physical discomfort will only offer a partial solution. By letting go of their negative thoughts and releasing stuck emotions, individuals can reduce or eliminate the physical pain associated with their current state of mind. As well as bringing a sense of peace, the process of releasing negative emotions enables people to regain their physical health. As one of the most common medical complaints, back pain affects numerous people. Whilst one-off accidents can cause spinal trauma, chronic back pain can also occur as a result of poor posture, unhealthy working practices or overuse. Although changing your routine may improve physical pain, it’s likely that the source of discomfort is either rooted in your emotions or exacerbated by your psychological state. Commonly thought to represent the support of life, the spine can reflect a number of negative emotions. Whilst upper back pain may indicate feeling unsupported or unloved, mid back pain is often associated with guilt and the patient’s inability to move on from the past. One of the most common spine-related complaints, lower back pain, can reflect financial concerns or worry over fiscal support. It’s not surprising, therefore, that most people suffer from back pain during the course of their life. Whether they’re facing money worries, dealing with a lack of support from loved ones or struggling to move on from the past, patients may find that these negative emotions appear in the form of back pain. Whilst this type of pain is often crippling, it can be improved via emotional release counselling. Enabling the individual to identify the negative emotion and helping them to let go of potential harmful feelings, releasing trapped emotions, this type of therapy addresses the root cause of their physical pain and provides an appropriate solution. When people experience shoulder pain, they often assume that it’s caused by a lifestyle factor. Regularly staring at a screen or using a computer, for example, can cause us to slump forward, and we may develop unhealthy posture as a result. Far more common, however, is shoulder pain caused by stagnant negative emotions that we haven’t processed or let go of. For some, shoulder pain can indicate a struggle with the burdens in our life. On-going pain or stiffness may point to a patient who feels overwhelmed or chronically stressed. With many people living a fast-paced lifestyle, it’s not uncommon for us to feel unable to cope, from time to time. When these emotions aren’t addressed or let go, however, they become a burden themselves. For patients with shoulder pain or discomfort, healing emotional pain can have a significant impact on the level of pain they feel. Often, discomfort can be eradicated when an emotional detox takes place and patients can be free from harmful emotions, as well as physical suffering. Although knee pain can occur at any age, it is increasingly common as we get older. Whilst many people assume that this is due to wear and tear on the joints, it can actually be worsened as our negative emotions build and remain trapped inside of us. Perhaps representing fear or inflexibility, knee pain can be directly linked to the state of our emotions. Bursitis, a common knee condition, has even been associated with repressed anger. Whether this emotion is aimed at ourselves or elsewhere, retaining it can cause untold harm. Performing an anger release and dispelling the emotion allows the physical pain to diminish, as well as bringing a newfound sense of calmness to the individual. Although anger or fear can have a perfectly justifiable cause, it can still be harmful when it is repressed or trapped. Emotional clearing or emotional release therapy can, therefore, help patients to purge the negative feelings through emotional integration and, in turn, remedy the physical ailments associated with them. Sometimes associated with headaches, chronic neck pain can be agonising for sufferers. As well as sharp, stabbing pains, patients may experience tension or tightness in the neck muscles. Whilst many people undertake physical therapy in order to try and release the muscle tension, they are often disappointed with the results. Instead of aiming to release the tension via physical exercise, however, patients can obtain relief by releasing the emotions which are causing the tension and neck pain. Often associated with stubbornness or inflexibility, patients may have trapped emotions relating to a disagreement or fight in a relationship when they report neck pain and discomfort. An unwillingness or inability to see another person’s point of view has also been cited as a common emotional cause of neck pain. Whilst individuals may not be aware that they are harbouring negative emotions, they are the likely cause of their discomfort. Fortunately, emotional integration therapy and associated techniques can have a long-lasting and positive effect on neck pain and muscle tension. 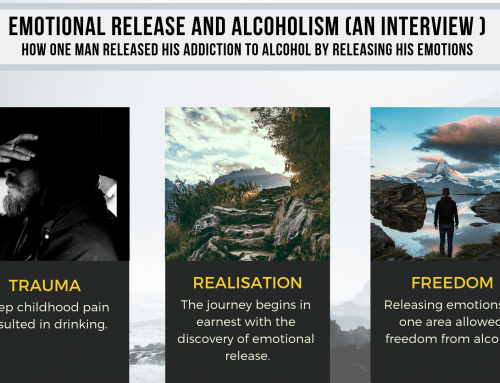 As trapped emotions are freed and the individual is able to move on from the stagnating emotions, they often report a sense of emotional and physical freedom. Although hand and wrist pain is extremely common, many people live with on-going discomfort for months or years before finding an effective remedy. As we use our hands to perform most tasks, people are often quick to assume that there is a physical cause behind the pain. Often, however, the remedies aimed at hand pain and discomfort fail because they do not address the emotions behind the pain. A bereaved individual may genuinely believe that they have dealt with the loss of a loved one, for example, but their physical health may indicate otherwise. An abused spouse may feel that they have escaped the torment of an ex-partner, but their chronic pain may represent unprocessed trauma. Similarly, an individual with low self-esteem may have used confidence boosting techniques but could still be afflicted by hand and wrist pain. It is only by letting go of grief, releasing feelings of fear and ridding oneself of the self-doubting emotions that these patients will experience a true recovery. Whilst physical rehabilitation or physiotherapy may offer some relief, this is often surpassed by the effects of emotional release therapy. When our emotions become trapped and cause discomfort, letting them go can rid the person of pain completely. In other cases, their pain may be significantly reduced. An individual experiencing crippling and debilitating back pain may feel their discomfort reduced to a slight niggle following emotional release therapy, for example. For many, this presents a permanent solution and their pain may never resurface. For some, however, they may experience a recurrence of pain in the affected area. An individual who tends to harbour feelings of anger, for example, may report a recurrence of pain following an upsetting encounter or a frustrating situation. By using emotional release techniques and clearing negative emotions, however, individuals can soon learn to reduce and eliminate pain quickly and easily. Rather than dealing with discomfort for months or years, patients are aware of the root cause of their pain and are able to release their negative emotions accordingly. While many people are aware of the mind-body connection, they may underestimate the impact our mental state can have on our physical health. As Dr Candace Pert maintains, however, “your mind is in every cell of your body”. By establishing a theory of emotions, Dr Pert highlights the impact our minds have on our physical state and, therefore, the impact our negative emotions can have on our health. Using emotional clearing therapy can, therefore, be an extremely effective way to reduce physical pain and restore calmness to the mind. It can, however, bring up long-forgotten emotions or repressed feelings. Due to this, it’s often beneficial for individuals to engage in emotional release techniques with the support and assistance of an experienced therapist. By working under the guidance of a trusted practitioner, patients can explore their negative emotions freely and without fear. In doing so, they can reduce the physical ailments plaguing their bodies and free themselves from pain, tension and discomfort.